A little over a year ago my Church of Christ congregation in Lexington, KY laid their hands on me and prayed as they sent me out to work with a local United Methodist congregation as an urban missionary. 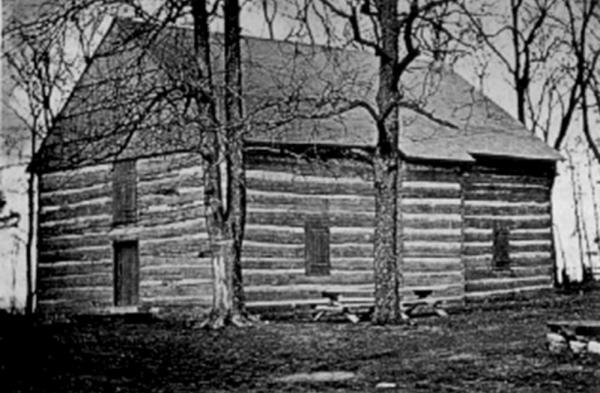 A little over two-hundred years ago a revival took place not far from Lexington in which Methodists and others came together in the name of Christian unity, and this ignited a movement to which I am very much committed today. In the recent months, the Southside Church of Christ and Embrace United Methodist Church have reinvigorated my hope for the future of the church. In many ways, socio-economically, denominationally, geographically, racially, and theologically these churches could not be more different, but a partnership is growing that continues to bear witness to Jesus’ prayer for unity in John 17. The preaching minister from Southside has delivered a sermon at Embrace, the Southside youth and campus ministry groups come monthly to prepare food and serve at Embrace’s weekly community meal, the whole Southside congregation held a diaper drive for Embrace’s diaper bank, and it was primarily Southside members who supported me financially when I was raising a salary for my work at Embrace. I am privileged to participate in the life of both communities, as I go to Sunday school at Southside, and worship service at Embrace, and I teach at both places. Last night as we partnered to offer a thanksgiving meal to folks from around downtown Lexington I witnessed seniors from Embrace working alongside youth from Southside, then we all went upstairs to sing praises, and share communion together, a testament to the eschatological reality that we are one in the Spirit, one in the Lord. There have been discussions about church polity, sacramental theology (a quip about sacraments), gender equity, sexuality, worship styles, ethics and so much more. Friendships are being formed, community is developing, hospitality is being extended, and in all of this Christ is being glorified. The uniqueness of each congregation need not die, nor should either hide or downplay their theological convictions, but praise God that sectarian attitudes so prevalent in my tradition of the Churches of Christ are dying. Sectarianism needs to die so that unity can be resurrected. This sort of sectarianism died, even if only briefly, at Cane Ridge, and it needs to die regularly in the church today. In some of the churches in which I grew up it would have been out of the question for them to bless me and send me out for a work like this, unless of course I was sent to be a missionary to those godless Methodists. Thankfully though, it was Methodists, and Presbyterians, and Baptists who came together to start our movement, and it has been Methodists alongside my Church of Christ family who have taught me about the ecumenical impulse of the Restoration Movement. It is time for another Cane Ridge revival. It is time for more last wills and testaments to be written. It is time for sectarianism to die, and ecumenism to rise again in our midst. 5 Comments Login and add yours too! If only they knew that your church believes that they deserve to be tortured in hell for all eternity and will be tortured in hell for all eternity because they are a part of a church that believes that baptism is not necessary for salvation and therefore aren’t even Christians in the eyes of the Church of Christ. I don’t want to diminish the importance of what you are doing but when I read the article the main point I come away with is how much teachings differ within congregations known as Churches of Christ. My congregation will not join the local ministerial association because the elders are afraid it would make it appear that we acknowledge other churches, we turned down an offer from a church in town to work with them in doing good works in a nearby low-income housing project because the other church uses instrumental music in worship, anytime a person refers to a Methodist or Presbyterian as a Christian he is quickly corrected because we are the only Christians (they have forgotten the other half of our early motto). Many congregations share the name Church of Christ but it is clear that we are as far apart in beliefs as Baptists and Methodists. I wonder how long it will be before some see the need to start using different names for the church as we did in the early 20th century. Not long I’m sure. There are 40,000+ Christian denominations already and division is a natural consequence of trying to follow a confusing and contradictory book. Unity IN CHRIST is urgently needed. Methodists would do well to honor Jesus in the name of their church families. We all would do well to honor Jesus in all our deeds, loving one another, serving together as we believe and teach apostolic doctrine. If these Methodists become Christians-only, that’s an advancement. If they remain Methodists, that indicates to me that they are not seeking unity in Christ. But they don’t believe that baptism is necessary for salvation, Ray, so how can they be Christians at all?